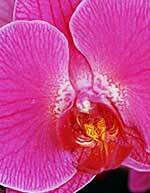 The deep purple petals and sepal of this orchid clearly define it as one of the most gorgeous hybrids in the Phalaenopsis family. 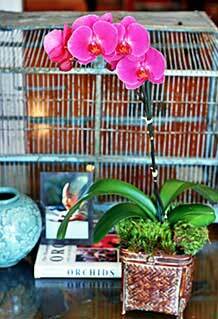 Roses may be impressive, but very few flowers can match the beauty and sophistication of the Phalaenopsis. For centuries, it has been the symbol of the exotic and the mysterious. To perfectly accentuate the long slender stem and cascade of luscious blossoms, add a bamboo basket to your order or this festive Provence-inspired lemon yellow ceramic urn as shown in the picture (6"H X 4"W). View BASKET, or choose below. Plants are shipped in bud, approximately one week from blooming. The buds will open gradually, growing more spectacular by the day for up to 6-8 weeks in perfection. 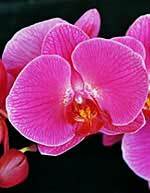 This is to ensure you get the full blooming stage of this magnificent plant - only from Beautiful Orchids. Enjoy!